On this, the two year anniversary of Pope Benedict’s renouncement of the papacy, most of the commentary that I’ve read on the topic has been focused on just how much the so-called “Pope Emeritus” is missed. This makes sense, of course, given the chicanery emanating from Rome on a near daily basis under his successor. I, however, am going to take another approach; one that seeks to counter the romanticism with which so many are reminiscing about the Benedictine pontificate. Don’t get me wrong, the seas were much calmer under then, but let’s not pretend that they were a veritable pleasure cruise; they were not, the Barque of St. Peter under the command of Pope Benedict XVI was also sailing perilously close to rocky shores. With this in mind, I post here an essay that I wrote some three months following Benedict’s abdication. The first step in solving any problem is admitting that you have one. As the Holy Father wrote of “liturgical renewal, joyful fervor, and radiant vitality,” the Archdiocese of Detroit, by contrast (to name just one such example), was addressing the real world state-of-affairs by unveiling plans to board-up some 40% of its parishes. His successor, Pope Benedict XVI, followed suit, painting similarly unrealistic portraits of the Council’s impact on Catholic life. The matter-of-factness with which the pope offered this assessment would seem to suggest that it is simply self-evident that the Council fortified the Church, and yet one is hard pressed to deny that every meaningful measure indicates precisely the opposite. Though he no longer reigns today, the “hermeneutic of continuity” – the centerpiece of Benedict’s pontificate – remains the lens through which the authorities in Rome, including Pope Francis (about whom I’ll have more to say in a moment), are determined to view Vatican II and its place in the life of the Church. As such, a closer look at the Benedictine appraisal of the Council will prove helpful in shedding light on the mindset of the Holy See today, illuminating the shaded perceptions that have long stood in the way of reaching an end to the current ecclesial crisis. On October 10, 2012, L’Osservatore Romano published perhaps the most revealing reflection of its kind wherein Pope Benedict XVI offered a detailed overview of his thoughts on the Council and its teachings. This snapshot of the state of Catholicism circa 1962 gives rise to some questions, as by most accounts the Church seemed to be doing rather well as the Council drew near. Here in the United States, for example, pews and seminaries alike were consistently full, and the parish – the locus of one’s devotional, liturgical, and to some extent, social life – was the epicenter of an unmistakably robust Catholic identity. What is one to make of it all? “Above all, in North America and Western Europe, there was no great desire to evangelize, especially among Catholics in the United States, who were only too happy to see one of their own in the White House, in spite of the price that Kennedy paid to get there,” he continued. Surely the same can be said of the pontificate of Pope St. Pius X and his threefold counter-offensive against modernism (Syllabus of Errors, Pascendi, Oath Against Modernism), a program that managed to shield the faithful from danger by condemning the errors of the day plainly while establishing in clear and uncertain terms what is acceptable and what is to be avoided. 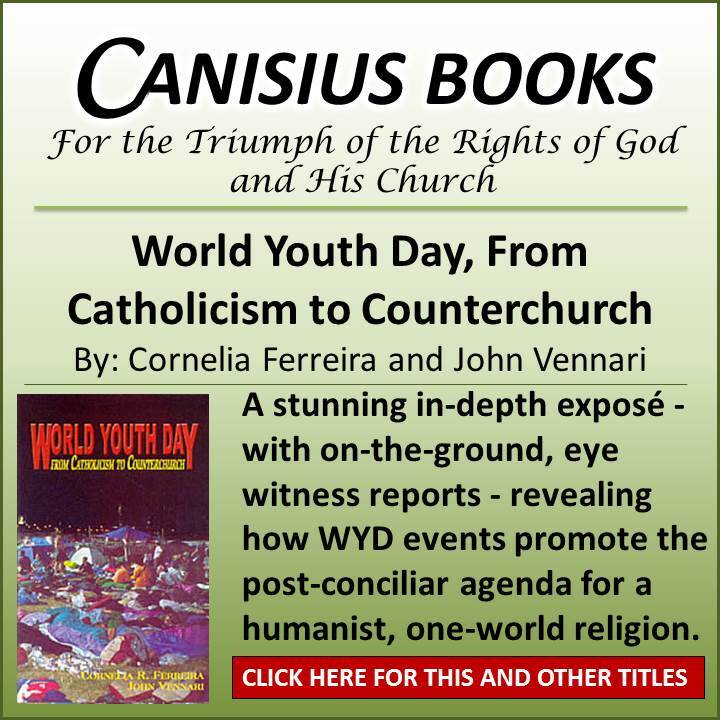 In sum, therefore, it would appear that the reality of Catholic life in 1958, in spite of whatever need may have existed to reenergize the troops – both lay and ordained – was hardly that of a Church that had lost its way. With all of this in mind, the suggestion that the Church of the 1950’s was on the verge of succumbing to “other spiritual forces” can reasonably (and charitably) be understood as an exercise in hyperbole. In any case, enter Pope John XXIII, who in the estimation of historian Coulombe, “was looking to address this malaise and knew of no other way to do so” than to convene an ecumenical council. “The fact that such stalwarts as Cardinals Ottaviani, Bacci, McIntyre (my old confessor), etc. had so little effect, and that the worldwide collapse happened so quickly in the aftermath of the Council, shows that all was not entirely well beneath the surface,” Coulombe continued. Is it truly reasonable to imply that the situation just described is the fault of the Council’s interpreters alone, such that all one needs to do is to embrace every jot and tittle of conciliar teaching in order to emerge from the devastation that followed? Pope Benedict seems to have thought so. In Pope Benedict’s view, the “real Council” is apparently beyond reproach, and his unshakable determination to cast it in a purely positive light was plainly on display in the aforementioned L’Osservatore Romano reflections. “The various episcopates undoubtedly approached the great event with different ideas … There was a need to amplify the doctrine of primacy from the First Vatican Council by giving greater weight to the episcopal ministry,” the Holy Father writes. At this, one cannot help but be perplexed. Most disturbing of all, however, are the Holy Father’s reflections on what is perhaps the Council’s most controversial document, the Declaration on Religious Freedom, Dignitatis Humanae. One naturally wonders to whom, and in what sense, the traditional doctrine seemed no longer sufficient. For an answer, it is reasonable to turn to John Courtney Murray, the Council peritus (theological expert) who was the chief architect and driving force behind Dignitatis Humanae. The traditional doctrine of tolerance (as opposed to the Council’s call for States to guarantee a civil right to false religious practices in the public arena) was deemed insufficient by Murray, as indicated in his writings, because Catholics in the United States prior to the Council, with their recognition of the Sovereign rights of Christ the King and their allegiance to His vicar on earth, were viewed as less-than-trustworthy collaborators by America’s largely protestant political and social ruling classes. There’s no way to sugarcoat it; apart from serious qualification, this statement is nearly impossible to understand in a fully Catholic light. “Given its inner foundation, such a concept [namely, a supposed right to choose and to practice any number of religions] could not be foreign to the Christian faith, which had come into being claiming that the State could neither decide on the truth nor prescribe any kind of worship,” the Holy Father continued. This is also very troubling. It is one thing to say that the State cannot decide, of its own authority, what is, and what is not, “the truth,” and indeed the Church has never imputed such authority to the State, and as for “prescribing” worship, the Church has always held that man cannot be coerced into accepting the one true faith. It is quite another thing, however, to imply, as the Holy Father does, that the State does not even have the ability to recognize the truth (more properly, the true religion) and therefore has no duty to seek it, uphold it and serve it, as if the State must concern itself with purely secular concerns alone. This proposition has long been rejected by the Church. One’s amazement can only increase at such an analysis. Firstly, the earliest Christians most certainly did “violate the law of the State” inasmuch as the State demanded that one render worship unto the Roman Emperor. For this, he was martyred by burning at the stake. Secondly, the early Church, even as it was being persecuted, never insisted that the emperor, or anyone else, had a fundamental right to practice the false religion of their choosing. Nowhere does one find evidence of the Church urging the State, as the Council does, to grant a civil right to pagans, that they may publicly worship their false gods. The ironic thing is, as I write, we are well on our way to a return to such persecution, and yet, for whatever reason, most of the churchmen of our day simply cannot see that this is precisely what the Second Vatican Council’s pluralistic treatment of religious liberty has invited. “Yet the interpretation of this right to freedom in the context of modern thought was not easy, since it could seem as if the modern version of religious freedom presupposed the inaccessibility of the truth to man and so, perforce, shifted religion into the sphere of the subjective,” the Holy Father continued. In other words, the prevailing tendency is to treat the State as a nameless, faceless, less-than-human organ, when in truth (as Pope St. Pius X so clearly taught) it is not. As an aside, can there be any doubt that a relationship exists between the Church’s newfangled concept of a “dehumanized” State, and the fact that the State in our day is growing increasingly bold in thumbing its nose at the Church as it goes about dehumanizing its citizenry? Even at this point in or limited examination, considering the degree to which Benedict’s view of the Council is shaded, not the least by questionable assumptions concerning that which preceded it, one senses why the “hermeneutic of continuity” that he proposed at the outset of his papacy has done little to right the Barque of St. Peter, even after seven years of serving at the helm. Given that neither Catholic doctrine nor discipline had anything whatsoever to do with the Shoah, I find it very troubling that anyone, much less the pope, would even hint that this event somehow made Nostra Aetate “intrinsically necessary.” I can imagine no other motive for such a comment beyond the pressures brought to bear by political correctness, but whatever the motive may be, comments of this nature are harmful and ultimately serve to hamper the Church in her mission. It is noteworthy that Nostra Aetate, properly speaking, does not directly address the religion, Islam, as much as it speaks of individual “Muslims,” albeit in such a highly nuanced way as to invite confusion. This oft overlooked distinction is important lest one come to the unfortunately widespread, and erroneous, conclusion that the false god of Islam is also the God of Abraham, Isaac and Jacob. It is very difficult to accept the assertion that the false religions just named are “great,” especially when one considers that it is the Vicar of Christ who is speaking! It is a dangerous enough proposition for the pope, even in the present context wherein he is speaking as a private citizen, to say that religions that deny the Lordship of Jesus Christ deserve our respect, but for the Holy Father to say, without distinction, that the values of these false religions, some of which reek of evil, are to be protected and even encouraged, is again, difficult to accept. Oddly enough, the invitation to grave error that this commentary represents is not entirely lost on the pope, after all. I would only add that what the Holy Father refers to as a “gradual emergence” is really more akin to a veritable explosion of ecclesial “diplomat-speak” wherein religious indifferentism has found fertile ground to prosper. Even so, the Holy Father does make an important observation, and so one wonders why we haven’t heard more pointed commentary from him or any other pope in the post-conciliar period regarding the dangers of false religions. What emerges in these reflections is the degree to which contradiction and tension existed in this pope, a man who throughout his pontificate gave evidence of recognizing the gravity of the post-conciliar crisis, but who ultimately is “a man of the Council” who is committed, perhaps even subconsciously so, to ensuring that its legacy is glorified. “If at the beginning of the Council the dominant groups were the Central European Episcopates with their theologians, during the Council sessions the scope of the common endeavor and responsibility constantly broadened,” the pope continued as he drew near to his conclusion. It isn’t explicitly clear, in the estimation of Pope Francis, which parts, if not all, of the Council comprise what “the Holy Spirit told us,” nor is it clear precisely whom he intended to criticize. Presumably the pope’s finger is being pointed at those who place a very highly value on the Church’s venerable liturgical tradition (to say nothing of her current liturgical laws) and who want desperately to “move back” to a papacy that neither shies away from its own monarchical authority, nor hesitates to proclaim the Kingship of Jesus Christ as once the Roman Pontiffs did before the Council. All of which brings us right back to where we began: The first step in solving any problem is admitting that you have one. 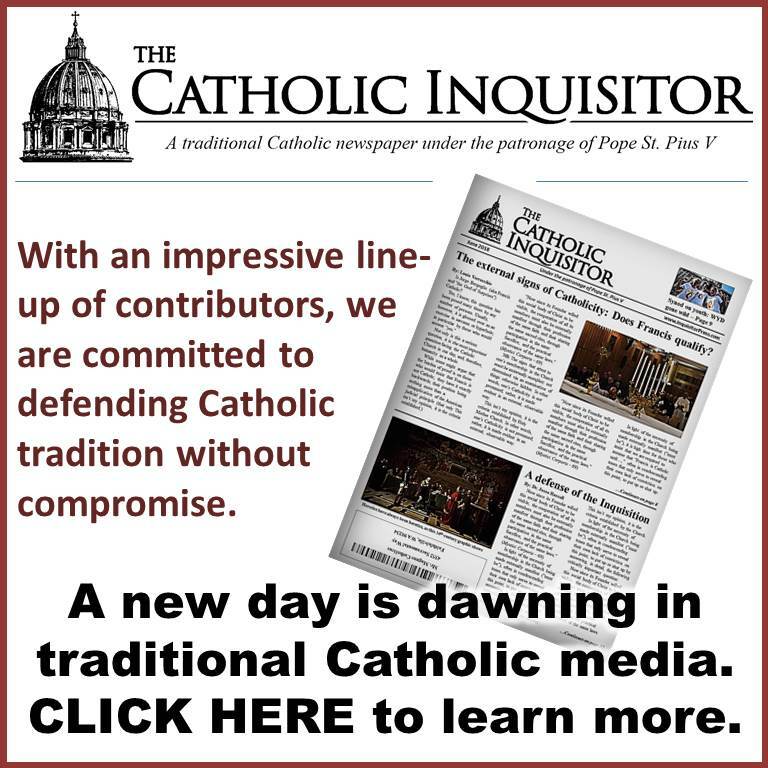 I have spent much of the last decade creating faith formation materials, writing and speaking on the content of Vatican Council II, drawing attention to its largely beautiful and doctrinally sound treatments of the Catholic faith, all in an effort to aid my fellow Catholics in viewing and interpreting the conciliar text by the light of sacred Tradition. Though my presumption going in was that the documents of the Council are impeccable in themselves, it became increasingly impossible to avoid the realization that they also contain critical ambiguities and doctrinal difficulties that have contributed in no small measure to the errors and confusion that have permeated all levels of the Catholic Church ever since their promulgation, and it is imperative that they be addressed head-on. Until our leaders in the sacred hierarchy set aside the rose-colored glasses and follow suit in soberly admitting to the Council’s shortcomings, we can be absolutely certain that the Church will continue to struggle in the longsuffering effort to emerge from the post-conciliar crisis. NOTE (2/11/2015): Of course Benedict is missed, but if we’re honest we will admit that he missed in the manner of a departed father who gravely mismanaged his family’s affairs in light of the step father in residence who beats his children daily. As I read this article it seemed to me a document of Benedict’s offering up his bit of incense to ‘Caesar’. The Church has watched every ‘bishop of Rome’, post-Pius XII, burn incense to Caesar. On the anniversary of the apparition of the Blessed Virgin at Lourdes, Ratzinger handed over THE agenda to another. He may have been more nuanced, but he was like a rest stop on the way from Roncalli-Sillonism to the full-blown synthesis of all errors. The Mind of the Church that preceded Roncalli and his sons has been ‘eclipsed’, on some level, for all those on the ‘continuum’ of exile. The Church that nurtured and supported these revolutionaries, and has paid for all their meals since their ‘ordination’ has felt the sting of the ‘authority of scorpions’. I was listening to the latest ISOC interview which speaks about ‘rendering unto Caesar’. God has established three ‘estates’ in human society – the family, the state (the purpose of which is to support the family as God would have it) and the Church, which should guide and govern the state (the community of families) and the family itself. The Novus Ordo Religion gives primacy to the state. That’s it. ‘it (VII) was a deliberate attempt to tone down the sovereignty of the pope by way of the false democratization of the Church that we now call “collegiality.’ They sure toned down the sovereignty of the Papacy by making it vacant. Vatican II has exiled the Catholic Church so that a Novus Ordo Religion could ‘suture’ itself into the ‘vacancy’. It has done it with great success. So successful that few bother, let alone dare to notice, ‘the abomination of the desolator’. ”with their (Catholic’s) recognition of the Sovereign rights of Christ the King and their allegiance to His vicar on earth, [they] were viewed as less-than-trustworthy collaborators by America’s largely protestant political and social ruling classes.’ Problem solved by Montini…without the help of the Holy Ghost, he elevated the God-less state above God when he handed the papal tiara to his brethren of theives – at least symbolically as everyone believed he was Christ’s Vicar. ‘Nowhere does one find evidence of the Church urging the State, as the Council does, to grant a civil right to pagans, that they may publicly worship their false gods.’ And yet a Novus Ordo ‘pope’ instituted its public and explicit worship WITH false religions and OF demons on the ground of Assisi. What Novus Ordo parish does not have ‘shared communion’ days with Anglicans, Lutherans, or whoever else claims to be Christian? ‘The ironic thing is, as I write, we are well on our way to a return to such persecution, and yet, for whatever reason, most of the churchmen of our day simply cannot see that this is precisely what the Second Vatican Council’s pluralistic (heretical) treatment of religious liberty has invited.’ If we want our heart’s hardened God may just grant our wish as He did to Pharoah. We have a Pope. We have St Peter, and his true successors – their works on earth and their intercession in Heaven. Though the chair may be vacant for a time, we are not and never will be Fatherless. ‘I will not leave you orphans, I will come to you.’John 14:18. From Roncalli: http://www.novusordowatch.org/pope-st-john-xxiii-roncalli.htm to Ratzinger: http://www.novusordowatch.org/benedict.htm; there IS a hermeneutic of continuity. PS. – We have a Pope. We have St Peter, and his true successors – their works on earth and their intercession in Heaven. Though the chair may be vacant for a time, and the white cassock filled with a synthesis of all errors we are not and never will be Fatherless. ‘I will not leave you orphans, I will come to you.’John 14:18. Ratzinger writes: “Christianity, which had built and formed the Western world, seemed more and more to be losing its power to shape society”. I can see why he might have believed this in 1962. Half a century earlier, the pope of the Catholic Church had written that, for Modernists, “it is a fixed and established principle…that both science and history must be atheistic: and within their boundaries there is room for nothing but phenomena; God and all that is divine are utterly excluded” (St. Pius X, Pascendi). “Admittedly, to believe that, as man, [Jesus] truly was God, and that he communicated his divinity veiled in parables, yet with increasing clarity, exceeds the scope of the historical method” (p.xxiii). Of course, if one cannot conclude from the science of history that Jesus is God, then it would indeed be intolerable tyranny to interfere with what Ratzinger calls, “the freedom to choose and practice religion, and the freedom to change it”. Contrary to its own self-conceit, however, such an approach to evangelization is unscientific, and, as Pope St. Pius X writes, absurd. “Human reason is able to prove with certitude the existence of God; faith, a heavenly gift, is posterior to revelation, and therefore cannot be properly used against the atheist to prove the existence of God“. As regards revelation itself, the Catholic Encyclopedia points out that “history [not faith] proves the existence of…revelation“. This is why we do not believe in Mohammedanism – because history does not prove the existence of Mohammed’s “revelation”. “[S]hould it be…asked whether Christ…rose truly from the dead and ascended into heaven, the answer of agnostic science will be in the negative and the answer of faith in the affirmative“. To sum up, Ratzinger’s statement is false. To believe that, as man, Jesus truly is God, does not exceed the scope of the historical method. In fact, it is precisely on the basis of human reason that the Church asserts that only the Catholic religion is true. The assent of the will to the Faith, the Act of Faith is a response to God’s Revelation in Tradition, Scripture and the Magisterium. NB: he did not say “And if Christ be not believed to have risen” but “if Christ be not risen”. “I suddenly realised that instead of the usual movement of the crowd – with distracted singing, the waving of flags and a festive mood – I saw every face as far as the other end of St Peter’s Square turned attentively towards Pope Benedict. Here was a huge group of people – at least 100,000 of them – listening to every single thing the Pope said with the greatest attention. They listened carefully, they applauded every couple of sentences, and they attempted (successfully, I think) to communicate something that a pope has never known in his lifetime: a message of deep gratitude and an affectionate farewell. This is something that pontiffs only receive when it’s too late, when they’re already gone, when they’re being eulogised. Faithful Catholics are traumatised by the viciousness of the Great Apostasy throughout and at the top of the Church on Earth. They react in different ways as they (we) struggle to cope, with more or less success. Some go into complete denial, and many are still in that position. We desperately seek Godly men, leaders, particularly bishops and priests, even look to the past, to find the moral and spiritual leadership we have been generally denied. There is much desperation, very few of us having the holiness to transcend the suffering and tribulation and fight the evil effectively through grace-filled lives. We are abandoned orphans, who know that we have been abandoned, but not with the spiritual wherewithal to overcome, as yet. Complete submission to God, and hate and persecution is very hard for most of us, but that is how the Faith is restored. Blessed Michael, the Archangel, defend us in battle . . .
Louie, this post has tremendous power, thank you for it. We are blessed to be able to retrieve the Modernists’ own words so we may analyze what they mean. I’ve been beating this drum as loudly as I can: The Council was a product of modernist philosophy, the product of twisted thought going back, even then, for 75 years – nay, back to the so-called enlightenment. Naturalism – the thought that we have ‘dignity’ as ‘persons’ no matter who we are or what we do – is at the root of many of the ideas we hear now. I recommend the book “The Family Under Attack” by Don Pietro Leone (a non de plume). The first few chapters describe natural dignity, and supernatural dignity clearly. One can see how humanism, and naturalism grow from the emphasis of the first at the expense of the second type of dignity. John Paul II was a humanist and naturalist. He was also a phenominalist and a personalist. His writings are permeated with personhood, and dignity, and respect for error because the ‘error-ee’ has dignity. Sad to say Cardinal Ratzinger was a student at the same trough as John Paul II. The saddest part of all this is that Cardinal Ratzinger spent a huge amount of energy trying to ram the square peg of Modernism into the round hole of Tradition. No wonder the poor man exhausted himself. When lies are repeated for 100 years and more, and the sheep have almost no access to Truth, the lies become the new-truth. Pride, cowardice, lack of sound philosophy as a tool to find the truth – these are at bottom where the evil comes from. Our Lady is our life, our sweetness, and our hope. 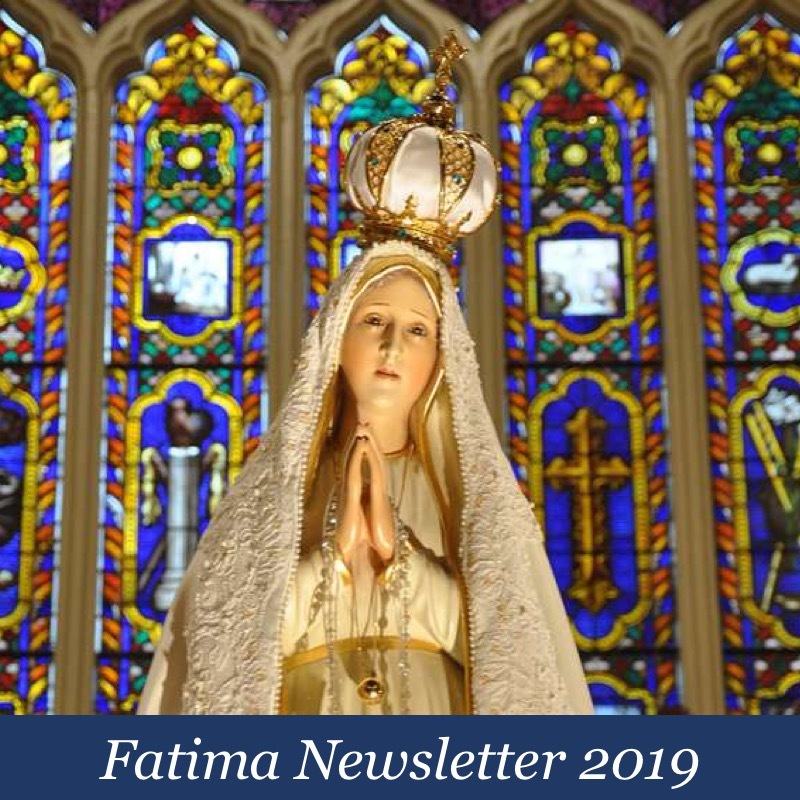 Our Lady of Fatima pray for us. Barbara…..I think Archbishop Marcel Lefebvre hit the nail on the head in his Open Letter to Confused Catholics……”.The initial–and, in fact, new–argument was based on the freedom of every man to practice inwardly and outwardly the religion of his choice, on the basis of “the dignity of the human person.” In this view, liberty is based on dignity, which gives it its raison d’être. Man can hold any error whatever in the name of his dignity. This is putting the cart before the horse. For whoever clings to error loses his dignity and can no longer build upon it. Rather, the foundation of liberty is truth, not dignity. “The truth will make you free,” said Our Lord. What is dignity? According to Catholic tradition, man derives dignity from his perfection, i.e, from his knowledge of the truth and his acquisition of the good. Man is worthy of respect in accordance with his intention to obey God, not in accordance with his errors, which will inevitably lead to sin. When Eve the first sinner succumbed, she said, “The serpent deceived me.” Her sin and that of Adam led to the downfall of human dignity, from which we have suffered ever since. We cannot then make the downfall the cause of liberty.” WISE WORDS !!!! Yes, I just read about that today. Man has natural dignity in that he has aptitude towards God – potency. Man has supernatural dignity in his actual knowledge and love of God – act. When man goes against his own nature which is oriented towards God – the Good – because he has ‘intellectuality’ – he loses this natural dignity. He acts like an unreasoning animal. We lose dignity (both natural and supernatural) when we sin because we choose to misuse out ‘intellectuality’ – the aptitude to know and love God, and the act of perfecting that. This gets into the whole person-hood, dignity racket. Totally perverted, or revolutionized in the teachings of John Paul II and Cardinal Ratzinger. What a mess!! So to blather on and on about the dignity and ‘rights’ of man is to be a Humanist and a Naturalist. Bad. Dear Barbara, I understand that “naturalism” is one of the common modes of entry by the Devil in possessing a soul here on Earth. A very dangerous and evil belief system that can appear quite benign at first glance. Blessed Michael, the Archangel, defend us in battle . . .
At the appropriate time Vatican I, yes ‘one’, should reconvene — it was never formally dismissed — and a proclamation should be passed declaring “null and void” ab initio any ‘universal council’ in the interim. Unfortunately, given what happened in the 2014 Sinod of the Family, now may not be the appropriate time. It may have to wait for the ‘baby boomer’ generation entirely to pass away, and in good time it will, like dry straw or withered leaves blown simply by a soft breeze. I’m not romanticizing when I say….. had it not been for Pope Benedict I probably would’ve remained in ignorance of the TLM and Traditional Catholicism and may have abandoned Catholicism due to the Protestantized Novus Ordo and appeal of the Orthodox Divine Liturgy. That’s not to say I didn’t find some of his words and deeds troubling. Are all of these men modernist heretics? I get justifiably angry every time one of these prelates blasphemes the Holy Ghost. He is the ‘god of surprises’, the spirit of openness, blah, blah, blah. Our Lord said the Holy Spirit is the “Spirit of Truth”. So, how can the Holy Spirit be the spirit of change? I think all the these men have been spiritually lobotomized. Yes, they do not subscribe to the unchangeable content of the Faith. They pretend it says whatever suits their radical relativist agenda. They invoke God as their servant in their wicked plans. There was a spirit at work alright – the smoke of Satan. You’d think as U.S. is building statues to worship Satan and holding black masses these VCIIers (and protestants) would admit their error, but seem as with equality (abortion, homosexual marriage and ‘gender identity’) and evolution (climate change, saving “the planet”) seem to be doubling down on it to their own destruction (and anyone who follows them). Think you miss his point here (and in regard to his comments concerning ‘Shoah’) that he and (especially) Bergoglio and almost all of the bishops at the council & today believe that Roman Catholicism had become “sick and distorted” and have conveyed their agreement w/secular culture to the Catholic faithful making many ashamed of their own religion. I wonder w/you yourself having a protestant wife whether your wife ever offered to convert. 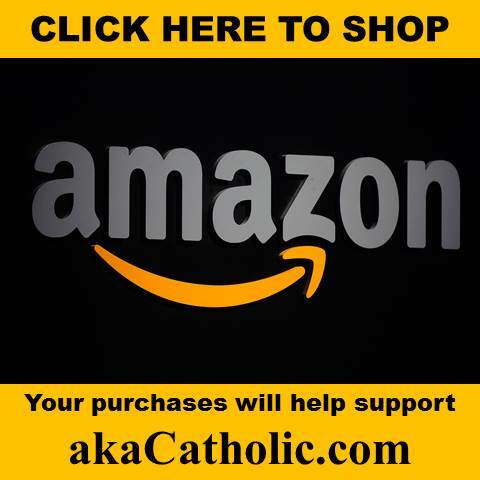 I have relations and close friends whose spouses and friends offered/asked to convert (and even be baptized), but were discouraged by the Catholics from converting/being baptized. The tyrannical, persecuting evil of our societies would never have got so extreme and widespread and penetrative of every sphere of our lives had not the church been corrupted, first, from the top, over many decades. They have the power in the institutional Church, these enemies of God and the Faith, and morality, and are colluding with the state tyrants in their persecution of those who refuse to accept the evil being imposed by law and policy. Well, at least Pope Benedict has not ever, that I know of, romanticized Gnosticism, Rosicrucianism, and Hermeticism as Mr. Charles Coulombe has. Maybe Mr. Coulombe has given up his interest of these non-Catholic and occult studies and pursuits, and returned to the Catholic Faith. One can only hope. -In 1959, Pope John XXIII named him a Papal Chamberlain and Very Reverend Monsignor; In 1966, Paul VI made him youngest bishop in America (38yrs old). and In 1968, he became first General Secretary of the National Conference of Catholic Bishops, a post he held until 1972. He was also famous for his “seamless garment” theory on voting issues– (our understanding):-don’t put the Right-to-Life ahead of everything else; take them all into consideration more or less equally-which of course includes the Church’s social agenda for the poor and immigrants. – What kind of leader do you get for when you vote for someone who has no problem endorsing the killng of infants in the womb as a woman’s right, or something he pledges his beliefs won’t interfer in? One whose reason is distorted by false belief, which affects every other decision he makes as well. Wiki reports: “Since the 1960s, the Catholic vote has come to reflect the nation as a whole.” By the early 1970’s Catholics represented a quarter of the nation’s electorate and were now one of the nation’s largest swing groups. The hierarchy..did have a substantial influence over the faithful in their dioceses. –2000: 50% of Catholics voted for Al Gore versus 47% for George W. Bush. –2008: 54% of Catholics for Barack Obama, , 45% to John McCain. –2012: 50% of Catholics for Obama and Biden 48% Mitt Romney and the Catholic Paul Ryan. Dear IF, see my comment supra., at 8.36 p.m.
Nail, right on the head.